The great thing about this dish is that it's so versatile. 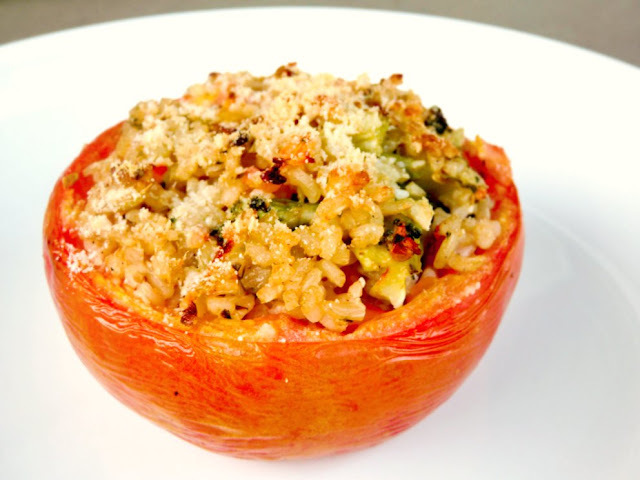 You can stuff it with a meat and rice mixture or a rice and vegetable mixture. 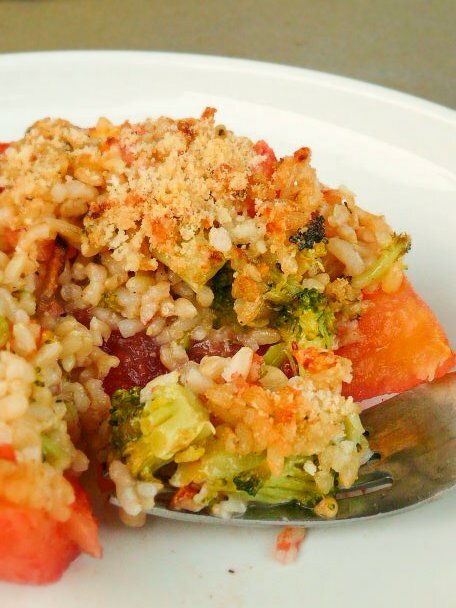 You can also use other grains like barley or quinoa, beans, orzo, couscous or whatever you have on hand. 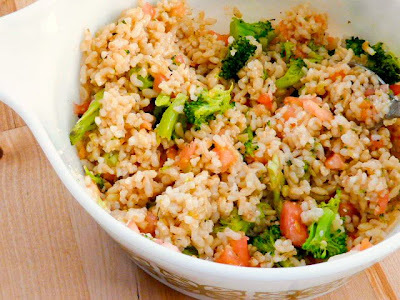 I chose to use brown rice and since I had a small piece of broccoli I wanted to use up, it went into this dish too. This is also a pretty healthy dish and aside from a teaspoon or so of olive oil which I had used to saute the broccoli, there is no other fat in it. 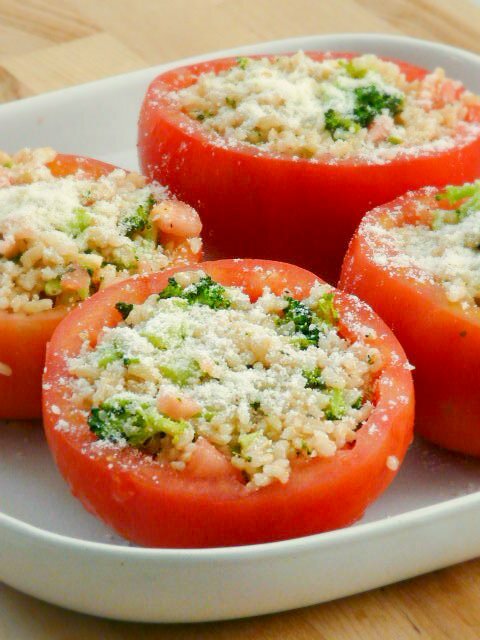 If you love tomatoes, you'll enjoy this dish! Serves 4 as an appetizer or light lunch. 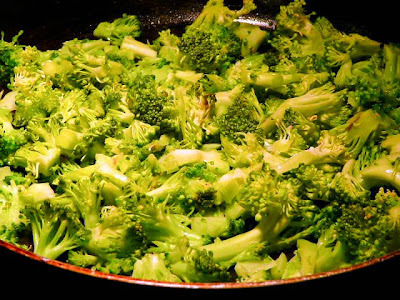 Saute the broccoli in a tsp. of olive oil until tender. You can also steam them if you want to do away with the fat. Cut the tops off the tomatoes (about 1/4" thick). 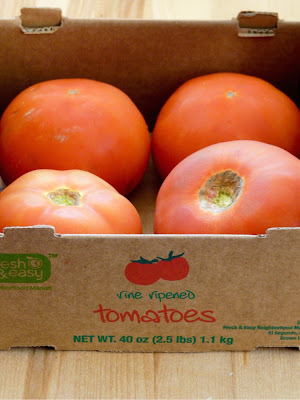 tomato to loosen up the septa and seeds. 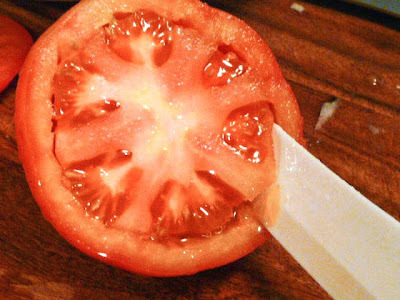 Pull everything out of the tomato so that it is completely hollow. 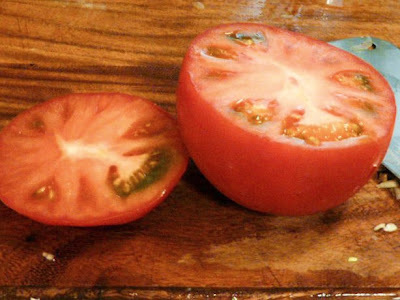 Reserve some of the tomato flesh and juices to be used in this recipe. juices or save it for another recipe. Parmesan cheese in a bowl. Season to taste with salt and pepper.